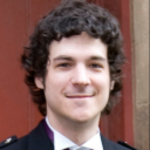 He graduated in 2008 from Edinburgh University with a Bachelors of Engineering in Software Engineering and has been programming professionally since then. When not coding he is trying not to get choked or thrown on the Judo mat. He lives in Scotland with his beautiful and long suffering wife Anna.